David Martin's Haworthia Site - Information - pictures. 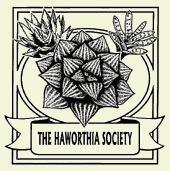 Haworthia Society - UK based society. BCSS - British Cactus and Succulent Society. Haworthia Group - Yahoo based discussion group. Cactus and Succulent Plant Mall - The online resource for cactophiles and succulenti, more sites and links than you browse in a month of Sundays. Ralph Martin's website, best known for his cactus and succulent field number database which is fully searchable, also Information - Sales - Wants.